Some of the worst truck accident cases our attorneys have litigated don’t involve the truck itself at the time of impact. They involve the tires, and more specifically, when a tire falls off a semi or even a passenger car and the tire strikes another vehicle traveling in the roadway. The results are almost always deadly. And when they’re not, the victims are usually left with catastrophic brain injuries or disabling spinal cord injuries. I’m currently handling a tire off lawsuit in Detroit that caused a severe traumatic brain injury and three-week coma to my client. And before this, I litigated a case called Nunez v, Utica Transit Mix, where a wonderful man, a husband and father, was killed because a commercial truck blew a steer tire that was in a defective and obviously dangerous condition, which included a rusted, out-of-service steer column, out-of-service brakes and badly worn tires. These conditions turned a truck steer tire blowout into a tragic death. It’s a subject I’ve lectured at on trucking conferences to other lawyers regarding how to investigate and litigate these cases. When I speak at trucking seminars on these tire accident cases, I stress that lawyers not fall for the defense theme that tires coming loose from semis and injuring and killing others in the roadway are an “act of God” – a sudden emergency legal defense that the lawyers defending these cases will raise to avoid taking full responsibility. In fact, nothing could be farther from the truth. These tire off accidents are almost always preventable. What are the causes of tires falling off of trucks or “blowing out”? I’m not saying that tires can’t “blow out.” In fact, the liability lies in that tire blow outs are predictable and foreseeable. And they don’t cause devastating carnage unless something negligent has occurred. If you drive along the freeway, you will surely see tire remnants from flats and tire blow outs. Each tire fragment or blow out did not cause a terrible crash that injured or killed someone. A tire blow out should not cause large commercial motor vehicle to veer wildly out of control, causing death and injury if the truck is properly maintained and inspected to avoid exactly this from occurring. Under-inflation: There’s not enough air in a tire, it can overheat and explode. “Treadburn”: This is when the tire tread is burnt or worn down. Treadburn plus friction with the road can cause a tire to overheat and break apart. Tread separation: This occurs when the metal and rubber inside a tire become disconnected from each other, causing the tire to break apart and scatter over the freeway. Spare tire: Since trucks go through tires so often, it’s possible that a truck will be riding on a spare tire, although it should be changed as soon as possible. If a spare tire is too old, it could rot, leading the tire to break apart. Research revealed that separation incidents were about even between tractor and trailer, with trailers representing about 6% more incidents than trucks. Seasonality was a factor, spiking around 35 per month January and February 1997, when the monthly average was about five or six. The story found that fastener-related separation accounted for 25 of the recorded incidents while bearing-related failures accounted for about eight to 10. In 643 incidents where the mode of failure was reported, failure of the wheel fasteners occurred in 65% of the incidents, while wheel bearings were the mode of failure in 26%. Failure of the wheel itself or the axle spindle resulting in separations accounted for only 9% of the 643 incidents. Those types of failures were considered exceptions to the norm. So who’s liable when a truck tire falls off and injures or kills your loved one? There are multiple possible defendants when a truck wheel or truck tire causes an injury. For tire off cases involving passenger cars (and attorney Kevin Seiferheld and I have litigated several of these cases as well), it’s usually a third-party maintenance or tire repair shop that replaced or did work on the car’s tires, but let the car drive off without the tire properly secure. 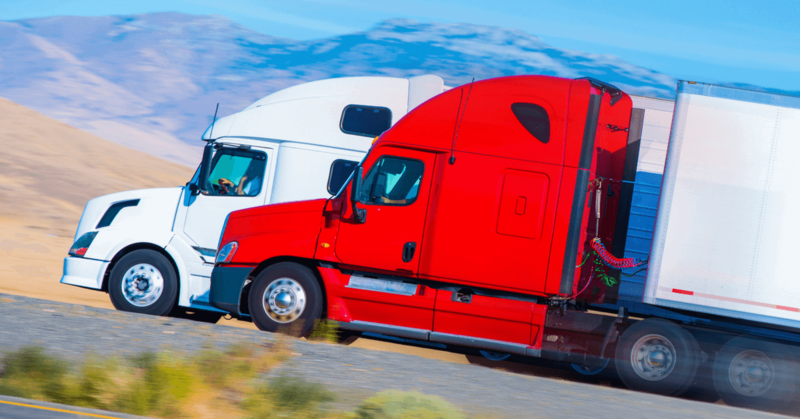 With trucks, it will depend often on the chain of who has control of the truck, whether the tire was maintained at the trucking company or a third-party maintenance facility, and other criteria that will be dependent on the facts of the crash. Thorough legal discovery and investigation by an experienced truck tire off attorney is essential in these cases.